Avast! 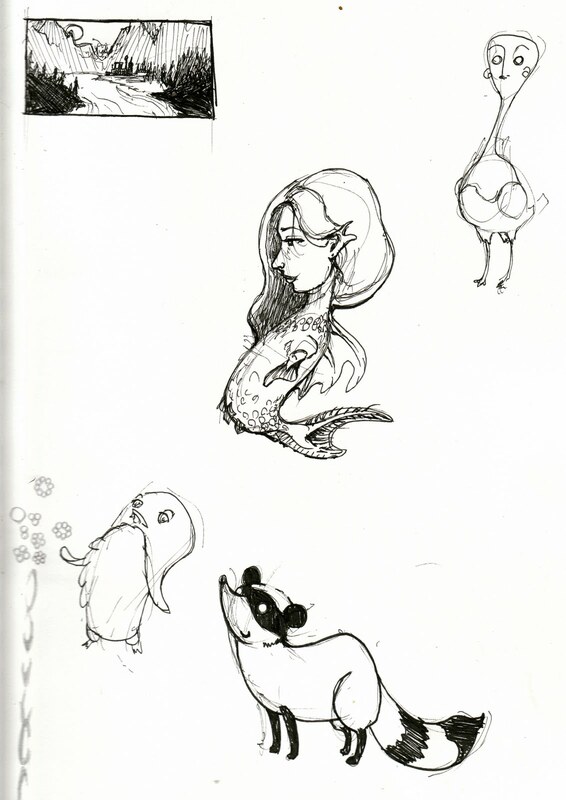 A mermaid, racoon, creepy penguin, and male ooccoo have floated into the scene! Daily Sketch Page 3- Bowie!